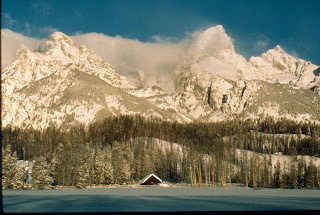 Grand Teton National Park ranger naturalists once again invite visitors and local residents to join them for a snowshoe walk in the park by full moon. This winter excursion will begin at 7 p.m. on Saturday evening, February 27, from the Taggart Lake trailhead located three miles north of the Moose entrance station. The full moon walk offers a chance to experience the winter wonderland of Grand Teton and learn about the unique characteristics that make this season so incredible. Throughout history, native peoples have used descriptive names for full moon cycles in order to keep track of the seasons of the year. Since the heaviest snow usually falls in February, American Indian tribes—from what is now the northern and eastern United States—called February’s moon, the “full snow moon.” Some tribes also referred to the February moon as the “full hunger moon” since harsh weather conditions made hunting difficult and food scarce. In recognition of this ancient tradition, rangers have dubbed this snowshoe activity, the “snow moon” walk. For thousands of years, people have used snowshoes as a means of winter travel. Ranger-led snowshoe excursions are designed to introduce beginning and casual snowshoe walkers to the experience of a winter trek in the park in the company of others. The snowshoe walk traverses a level, three-mile roundtrip distance along the snow-covered Teton Park Road. The two-hour-long activity does not require previous snowshoeing experience, and snowshoes are provided for anyone without their own. Please arrive 15 minutes early in order to select and don a pair of snowshoes. Those attending should wear warm layered clothing, sturdy insulated boots, and a face scarf or ski mask, plus bring along an energy snack and water, or hot beverage in a thermos. Although headlamps and flashlights will not be needed, these items are recommended as essential safety equipment for any outdoor trek. Reservations are required; call 307.739.3399 to reserve a spot. 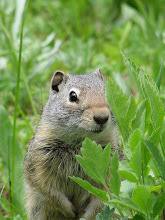 For a complete list of ranger-led activities and programs, please refer to the park’s newspaper, Teewinot, online at www.nps.gov/grte, or call the Craig Thomas Discovery and Visitor Center at 307.739.3399.